If you are like me at all, you hate the thought of spending $20 on something that you can make yourself, or you could get for only $3. I am not a big fan of spending money, to be honest. I like the idea of a cheap $3 purse just as much as the next thrifty person. as a matter of fact, I am famous for buying thrift store purses for $1-$3 and hanging on to them until they fall apart. The problem that I have been running into is that they fall apart rather quickly. I guess I am hard on purses? Maybe it’s all the junk I gotta carry with me all the time. You know, my phone, camera, planner, lip gloss, hairbrush, keys, wallet…and so on and so on. I got used to buying cheaper purses because I thought they were saving me money. But, my wonderfully generous hubby proved me wrong on that. He’s a geek with numbers, and actually did the math one night for me. He came up with the fact that I was spending $3 every 6 weeks at the thrift store, buying a used purse. Over the course of a year, that was roughly $72. Not to mention the frustration that I had with having to get a different purse, or having my family try and keep up with which one I was using at any given time. The time and gas spent to get to the store wasn’t even factored in. And most of the times, I found I couldn’t use the purse for everything I needed. So, we did some hunting around for a well made purse. My hubby is a BIG believer in quality over price, and he wasn’t about to let up on his principles simply because I am cheap frugal. He thought a leather purse that was well made was what I truly needed. Me being ME, and not wanting to spend the money for that, I went and bought a $75 purse at a local department store. It broke on me, only a few days later, and I had to exchange it. That one also broke within a week, so I had to get my money back. Hubby was kind enough to NOT laugh at me, nor did the “I told you so” come out. It could have, mind you. Finally, we found a shop that features local artisans, and I found a purse! It was handmade, all leather, and beautiful! I even got to stick all my stuff in there first, before I bought it, just to see if it would fit. That’s how locals are, ya know. I would never have gotten away with that at Walmart, or the department stores. I was hooked and convinced that this was the purse for me. However, I balked when I saw the price tag. It was waaay too much, I thought. But, hubby bought it for me anyway, sweet man that he is! And, this purse has been going strong for over 2 months now. Longer than any other purse, to be honest. And, if it lasts only 18 months, is still was cheaper than what I was doing. I have hope that it’ll last longer since the lady who rang us up commented, “I hope you like this purse, because they last forever!” Hers had been going strong for 5 years, and still looked new. I bought a suede purse 7 years ago when a leather store in the mall was going out of business. It was originally $100 but I got it for $20. It was a fantastic purse, and a fantastic price. It is still my favorite purse,and I use it about half the time still. Now that I have 3 kids I swap it out with one that holds more if I have to carry around some kid/baby things without the haste of a diaper bag. 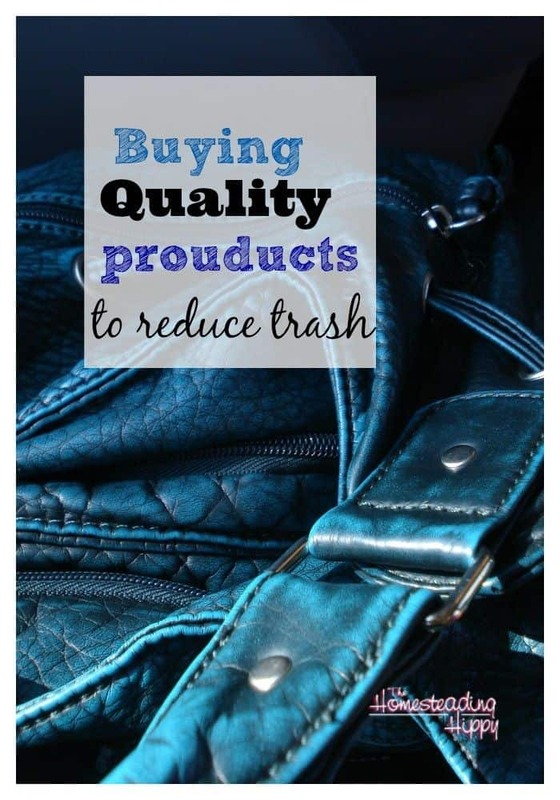 I agree buying a better quality purse is definitely the way to go.